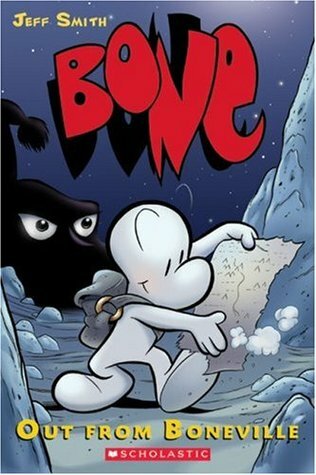 The other book he got from his school library is Out from Boneville, the first in the Bone series by Jeff Smith. This is a series I've heard a lot about, but I honestly thought it would scare him. Evidently not. He loved it and couldn't stop telling us about it. But I will say that a lot of the plot went over his head. He just loved all the action and silly things that happened. It's a graphic novel so I'm sure he got a lot more out of the pictures than the words, since it's a pretty high level book (grade level 4.9 according to Scholastic). It's about three cousins who are sent out of Boneville and the adventures they have. I'm sure he'll be reading the rest of this series too. 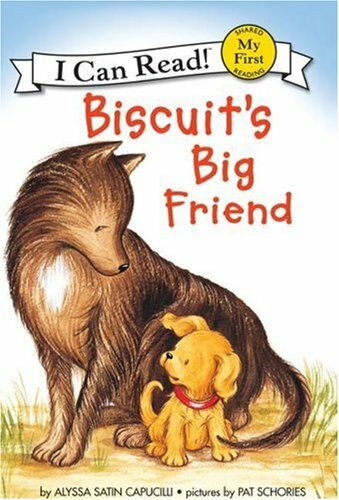 M was able to read Biscuit's New Trick by Alyssa Satin Capucilli, which we have at home, so I picked up a couple new Biscuit books for her: Biscuit's Day at the Farm and Biscuit's Big Friend. I have to say that these Biscuit books are "just-right books" for M right now. She can read them with just about no help (she had a hard time with the word "wants" in one of them) and she understands what's happening in the plot. She also loves the stories and all the animals that are in them. We will definitely be working our way through all the Biscuit books over the coming weeks! Finally, I'll share one of the books I read to M. It's an older book but I just heard about it recently while reading a blog, and I feel terrible saying I could not remember which blog! So if it was you, please let me know! 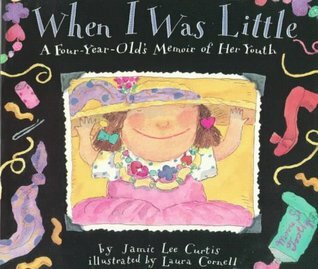 Anyway, the book is When I Was Little: A Four-Year-Old's Memoir of Her Youth by Jamie Lee Curtis. It's an adorable picture book written from the perspective of a 4 year old girl, who talks about what she was like as a baby compared to what she can do now. The pictures are fun and the little girl is very cute. We both really enjoyed this one. I thought it was adorable! I'm surprised I had never read it before. The Wayside school Series were always very popular with my students. I actually always loved when we got into those books too because I love them. They are VERY clever and actually very funny, even to adults. You have to read them! I'm sure that's why his teacher is reading them aloud. She seemed to be enjoying it when I was in the classroom last week during reading time. 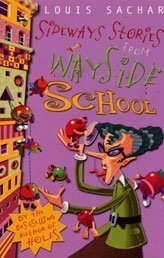 I just heard of Wayside School the other day, so now that you mention it, too, I will have to check some out for my son.